Question #1: Is Law Enforcement on the Way? 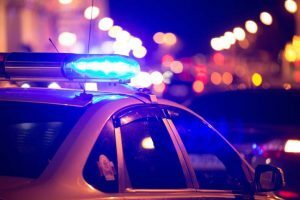 Aside from taking stock of the damage around you and any injuries people nearby may have suffered, the first thing you should do is contact local law enforcement. If the damage is minor or if no injuries were sustained, it’s likely the at-fault truck driver will want to avoid calling the police. There are several reasons this might be the case, but know that this should not be tolerated and the police should be informed immediately. Commercial truck drivers are subject to federal regulation beyond the regular traffic laws passenger vehicle drivers must follow. In the event a truck driver is drowsy or fatigued behind the wheel, or if they didn’t follow proper maintenance procedures on the truck, law enforcement should know so they can include this information in an official police report. Question #2: Does the Truck Driver Have a Commercial Driver’s License? All CMV drivers are required to have a commercial driver’s license and are subject to serious penalty should they drive without a license. Before 1986, all commercial trucking regulations were governed by states, and many states differed on what the rules of the road actually were. In 1986, the Commercial Motor Vehicle Act became law and established minimum requirements for all CMV drivers. Additionally, specialized endorsements are given based on what’s being transported; each endorsement requires different tests, training, and medical certifications. If you’re injured and a large truck is involved, you’ll want to know if the driver has the right license to operate the kind of truck that’s involved in the accident. This is another reason you should always get the police involved as this information should be included in the official police report. This report will be essential when and if you decide to pursue compensation for injury or property damage. Question #3: Is the Driver a Contractor or an Employee? This question may feel less intuitive than the first two, but it’s a very important question in terms of who can be held responsible for damage or injury. In the event of a large truck accident, several parties could potentially be held responsible including the driver, employer, maintenance provider, truck or equipment manufacturer. Conversely, some truck drivers contract with distribution chains and aren’t technically employed by a particular company or covered by supplementary insurance. Knowing this information will be relevant should your damage or injuries exceed the limits of your personal injury protection, or PIP, policy. Question #4: Should I Contact a Florida Truck Accident Lawyer? The Florida injury attorneys at Heintz & Becker implore all truck accident victims to reach out and discuss their case. Large truck accidents often result in serious bodily injury or death, which can quickly deplete a family of their savings and other financial resources. Without legal advocacy, families affected by large truck accidents suffer at the hands insurance companies and adjusters who care very little about the outcome for the family. 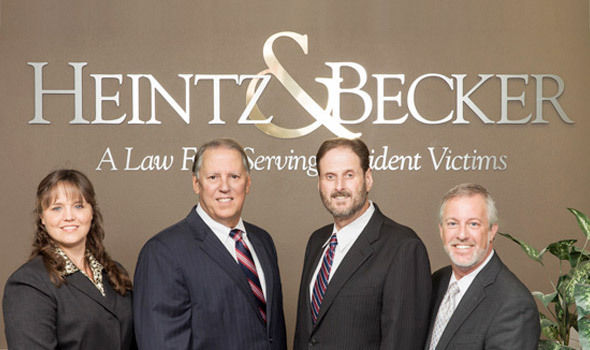 The truck accident attorneys at Heintz & Becker have decades of experience handling personal injury and wrongful death cases. You can be confident your case will be handled properly, because it will be handled personally by our compassionate Florida attorneys who will fight to make things right. If your family is struggling to pay medical bills or you’re not able to work as a result of your injury, you need Heintz & Becker at your side. Get a FREE case evaluation today! Call 941-238-0093 or contact us online.